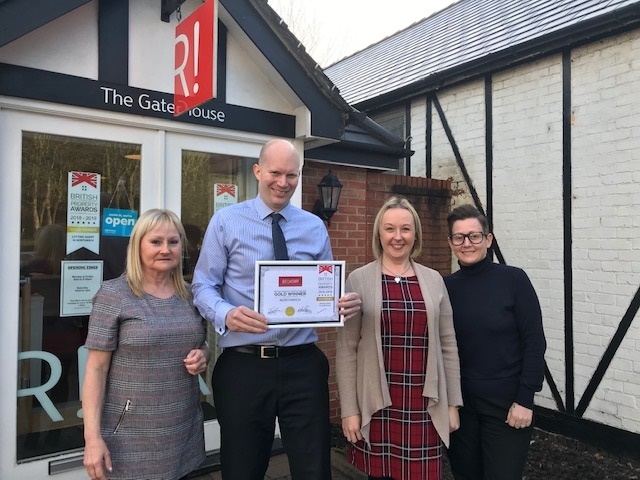 To coincide with their 10th anniversary Belvoir Lettings has scooped the coveted Gold Award for Lettings as judged by the British Property Awards. It is the first of its kind to be awarded to a lettings agent. Belvoir ranked highest out of all agencies in the area in terms of customer service with the strict judging criteria set by the British Property Awards. There were several rounds of ‘mystery shopping’ on Belvoir and the quality of service was consistently high. James Whalley, Franchise Owner, commented: “ I am extremely proud to have received this award and thanks must go to the dedication of our team to deliver such an outstanding service. We are 10 years old as a family business this year and it is such an honour to be recognised in this way”. Belvoir consistently strives to provide a first class service to its landlords and tenants alike and this has certainly paid off.